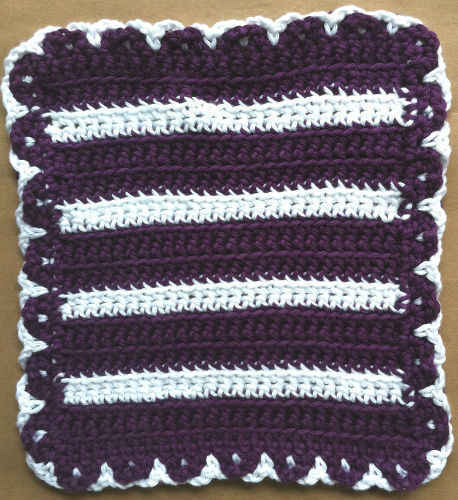 Thank you Pamela for joining the Dishcloth-A-Day Challenge! Size: About 10″ wide; 8″ long. At the end of Row 7, DO NOT FINISH OFF. Row 1: With right side facing, working in side of rows over dc-sts, ch 1, [2 sc in each row] across, sc in first ch (of starting ch). (15 sc) DO NOT FINISH OFF. Row 10: Ch 2, turn, hdc in next 4 sc, change color, with Blue, hdc in next 13 sts, [sc in next st] across. (25 sts) Finish off and weave in ends. 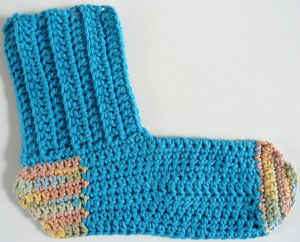 At the end of Row 6, finish off and weave in ends. ENJOY! This sock is absolutely darling. 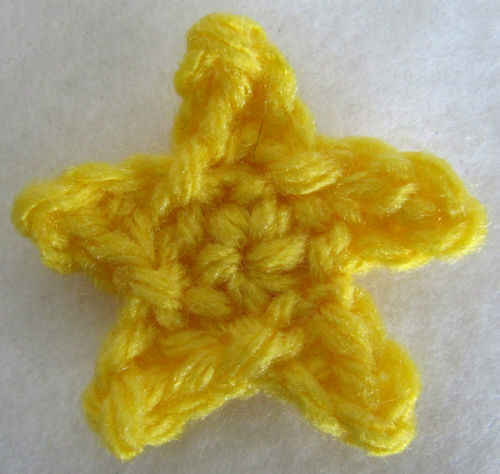 I know I will make several for grandchildren and nephews, as they like them for their baths. My grandson will be getting of these for sure. This is so cute, and just in time for some stocking stuffers. No pun intended.